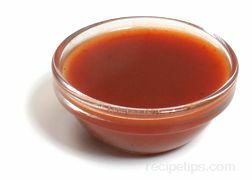 Defining one type of sauce as a traditional Mexican Chili Sauce is difficult due to the many different varieties that are made and referred to as a Chili Sauce. Mexican Chili Sauces are typically very spicy, very hot and very flavorful. 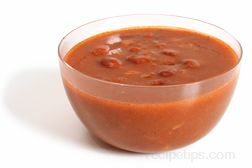 Many sauces are made with a tomato and chili base that may contain red or green tomatoes combined with a desired variety of chile pepper such as jalepeno chile peppers. In addition, many Chili Sauces may have tomatillos added or consist of tomatillos instead of tomatoes. 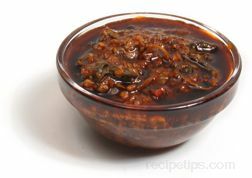 As a way to identify various sauces it is common to refer to the type of chile in the sauce for the name of the sauce, such as Arbol Chili Sauce which refers to the use of arbol chiles as a key ingredient for making the sauce. Mexican Chili Sauces are served over all types of meats such as shredded and whole sliced meats. 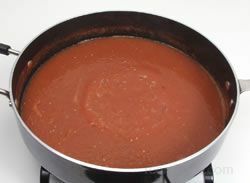 In addition it is common to add sauce as a topping for sandwiches as is often served with torta sandwiches that are covered with sauce, which is known as torta ahogada translated to mean drowned in sauce. 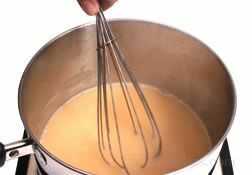 This sauce is also served as a condiment or topping for poultry, fish, shellfish, and a variety of other foods, such as meat place on top of rice and beans. 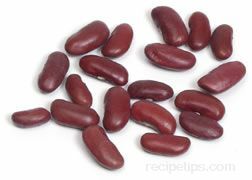 Commonly referred to as a Mexican Hot Sauce or a Red Chili Sauce, a typical Mexican Chili Sauce often uses jalapeno chile peppers or red chile peppers, onions and tomatoes as key ingredients to the sauce. 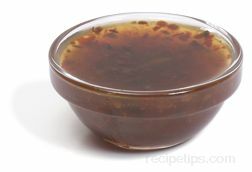 When ordering a food with Mexican Chili Sauce, caution is suggested which may involve test tasting to make sure the intensity of the sauce is not too hot for the palate.